For this week’s message, I’ve included the text of my address to the boys in assembly from Monday morning. Perhaps it will provide a stimulus for further discussion with your son. I’ve included links to the two images referenced in the speech as well. Dr. Power’s analysis of Rembrandt’s painting The Prodigal Son at last Monday’s assembly was the inspiration for today’s address. Indeed, the image displayed on screen is another painting by Rembrandt. This one is called The Good Samaritan. This particular piece was one of the master artist’s earlier paintings, created in 1630, which meant he was 24 years old at the time of its completion. The Prodigal Son, on the other hand, was likely painted in 1667 -- a couple of years before Rembrandt died. If we look at the scene depicted in the painting, we could likely make some sense of what is happening. In the background we see a woman at a well. At the centre of the piece, we see a man being helped off a horse. And on the steps above that man, we see another man who appears to be involved in some transaction with yet another man. All the while, a woman at the right edge of the painting looks on in interest. Unlike Dr. Power, who offered an interpretation of some of the elements in the Rembrandt work he projected last week, as someone who failed finger-painting in kindergarten and has a tough time even drawing stick figures, I’m going to leave the artistic analysis to those in-the-know and focus in on the concept which inspired this particular scene. Like The Prodigal Son, The Good Samaritan is one of the key parables taken from the Christian faith. Here is the SparkNotes version of the story. A man who is travelling a well-used road is beaten, robbed and left for dead. At different times, two very pious men come across this man, who clearly needs their help, but both men choose to ignore him. Finally, some time later, a third traveller -- a Samaritan -- comes by and, seeing this man in need, picks him up, puts him on his horse and walks him into the nearest town. Once there, the Samaritan finds lodging for the battered man and ensures that all costs for his recovery are met by leaving the innkeeper a large sum of money. 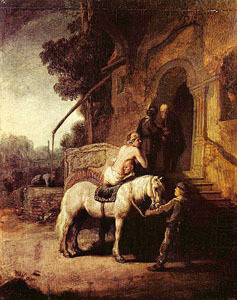 The conclusion of the story, at the inn, is the scene Rembrandt chose for his painting. And if you look closely, you can see that the transaction taking place just off centre is the Samaritan providing payment for the care of the needy man. I’d like to skip forward a few years, and move from Rembrandt’s studio in 1630 to a street in New York City on Wednesday, November 14, 2012. You may have seen this particular image in last week’s papers. For those of you who are unfamiliar with it, a tourist from Arizona who was visiting the Big Apple took a shot of this remarkable scene with her cellphone camera. 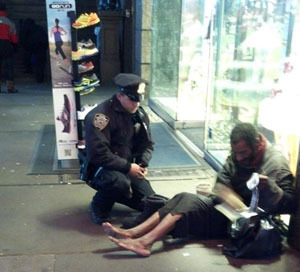 You may not be able to make out what is actually happening here, but the photo shows a New York City police officer crouched down next to a shoeless, homeless man who is opening a box with a brand new pair of winter boots. Like Rembrandt’s depiction of the Good Samaritan, which doesn’t illustrate the previous actions taken by its compassionate hero, this candid cellphone picture doesn’t reveal what happened prior to this scene either. Thankfully, the tourist who took the photo also saw the police officer moments earlier go into a nearby Sketchers store and purchase the winter boots and warm socks he subsequently gave away. Like the Samaritan who helped that man by the roadside, the police officer acknowledged that he didn’t know the homeless man, but simply saw someone in need and decided to help. As a side note, there was an article in the New York Times today that revealed that the homeless man in this story was recently seen wandering the streets shoeless again. The troubles facing those who are homeless are definitely complex. I know that we have a great spirit of giving here at UCC. The community service that so many of you are involved in is a testament to the great work that we do as a school for the service of others. Yet I do wonder sometimes if we overlook the needs of those in our community, like the first two passersby who ignored the beaten man on the side of the road in the parable, or the numerous folks who would have walked by that homeless man in New York City. I’m certain there are times within our walls when people need help. Someone who may be isolated in some way from his peers, marginalized by others, or is the brunt of constant teasing in the locker room. I’d encourage you to take some inspiration from Rembrandt’s Good Samaritan, or from officer DePrimo, clearly one of New York City’s finest. Two compassionate men who recognized others in need, decided to take action and followed through, expecting nothing in return. Surely these two guys chose to make a difference. Two remarkable images … The first, painted in 1630 by one of the most famous artists in history; oil on canvas that would have taken countless hours of painstaking concentration and effort. The second, taken by a tourist on her cellphone a few weeks ago; five mega-pixel quality shot in a millisecond with one finger. Both are works of beauty, and both, in their own way, priceless." If you still find that things aren’t improving, please talk to me or contact me by email or even anonymously by phone at 416-4881125, ext. 3416 and I will try to help, too. By reporting the continuing misbehaviour of a student whom you have already tried to help, you are not getting him into more trouble, but you are actually keeping him out of even bigger trouble...and saving the community some trouble to boot. Think of it as an investment in his and our future. The 2013 graduates had a chance to order their grad rings last week. Stefanie Mahon for all their help. The boys really appreciated all their support. 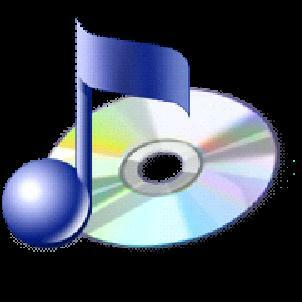 Make your son's memories last forever by purchasing a DVD of the 2012 Festival of Christmas and Music Readings. Did you miss an important part because you were juggling your videocamera or you couldn’t get close enough with your phone? Don’t worry, you can enjoy the concert over and over again for a small price. Please see the above download for details. IB2 examinations will be written between Friday, Dec. 7 and Wednesday, Dec. 19. 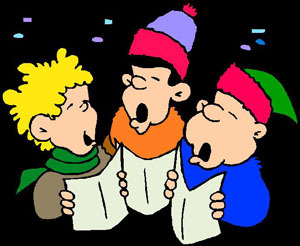 Foundation Year and IB1 examinations will be written between Thursday, Dec. 13 and Wednesday, Dec. 19. Please refer to the above download for the final schedule. It's been posted on the bulletin board in the main hallway of the Upper School and has also been emailed to students. Morning exams begin at 8:30 a.m. Afternoon exams begin at 1 p.m. The College expects all students to write examinations on campus at the scheduled time. Requests for exceptions must be submitted in writing to Mr. Cowie, head of the Senior Division. Each case will be considered individually. Medical documentation will be required where applicable. If an exception is permitted, alternative exam arrangements may be subject to a fee and the student will be required to write during the designated make-up week from Jan. 7 to 11 according to a schedule determined by the College. If a student is absent for an examination due to illness, one of his parents must notify the main office at 416-488-1125, ext. 2219 on the morning of the exam. Notification must be made for each exam missed. Medical documentation acceptable to the College must be provided in such cases. Medical notes must clearly outline the reasons for the absence and the expected duration of the absence. In the case of boarders, the senior house adviser and/or the school nurse will provide appropriate documentation. All cases of absence -- whether for compassionate, medical or exceptional reasons -- will be reviewed by the academic dean in consultation with the Upper School Administration Committee, which will determine the details of any required make-up exams. If a student doesn't write an exam for a reason approved by the College, he'll receive an “N” on his report card in that subject. The “N” designates that there's work yet to be completed in the course. After make-up exams have been graded, the student’s academic record will be updated and an amended report card provided at that time. Students must observe the regular dress code, as described in the Upper School Family Handbook, during the December examination period. We'll convey these expectations directly to the boys. No cell phones or other electronic devices (except calculators when required) are to be brought into the exam room. There are no exceptions. Students should leave such devices locked in their lockers. If students violate this rule and are caught using a cell phone or other prohibited device during an exam, they'll be subject to disciplinary action, including a zero on the exam in question. Although we've endeavoured to minimize exam conflicts, they're unavoidable because of the limited exam times and the large number of courses offered. 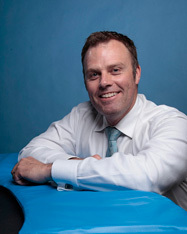 In any cases of conflict, students will be contacted by Dr. Kinnear’s office. Students who notice a conflict but haven't been contacted should get in touch with Dr. Kinnear’s office as soon as possible.